WHAT IS IT? Iliotibial band syndrome (ITBS) is one of the most common causes of hip and/or knee pain among athletes. 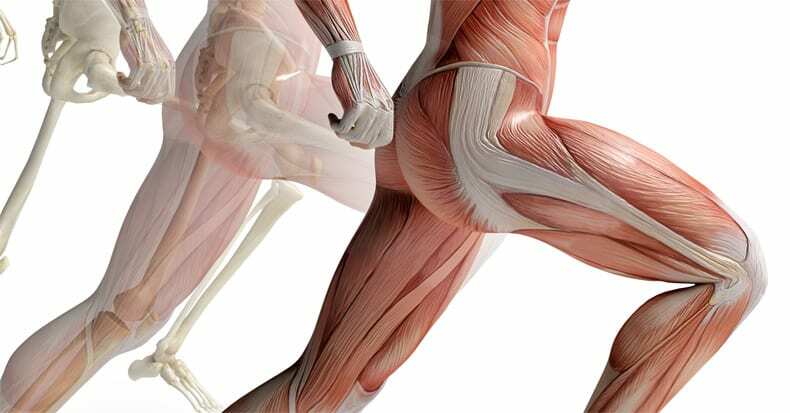 The pain is caused from swelling or inflammation of a muscle group (including the tensor fascia lata or TFL, gluteus medius, and minimus muscles), the tendons that attach muscles to the knee or hip, and/or the bursa that surrounds the attachments at the hip and/or knee. How common is it? Experts estimate that the prevalence of ITBS may be as high as 12% among participants in sports that involve running. This is also common during basic training—with ITBS reported by between 5.3% to 22.2% of United States Marine Corps recruits. What is the clinical presentation? Typically, ITBS presents with a history of pain with activity (walking, running, cycling, etc. ), with soreness at the outside of the knee just above the joint. Pain can radiate up or down and include the hip and/or ankle. Climbing steps and running downhill are common irritating activities. Rest can help alleviate symptoms in the short term but isn’t a long-term remedy. What are some physical exam findings? ITBS patients may exhibit an abnormal gait or walking pattern in which knee flexion (bending) is avoided. They may also have tenderness to touch above the knee joint on the outside and/or along the iliac crest (where the TFL inserts). Squatting can reproduce pain, and lying on the side with the leg extended backward and dropped toward the floor from a bench often reproduces pain (called “Ober’s Test”). Treatment Options: Because these are “overuse” injuries, changing the frequency, intensity, and/or duration of the sport or injury-causing activity is often necessary. Consider changing up your routine by cross training. If your athletic shoes are worn down, replace them and stay within the rated mileage of the shoe. For those with ankle pronation (where the ankle shifts inwards), a foot orthotic with a measured rearfoot post can “make or break” a successful, long-term outcome. Similarly, if one leg is measurably shorter compared to the other, a heel or heel-sole combination lift is also very helpful. If the muscles that move the hip are weak or if there is altered/abnormal muscle activity, then proper exercises to improve the neuro-motor pattern and/or strengthen the weak muscle group are a must! The inclusion of a gait/walking and running assessment can also reap great benefits for long-term success. Your doctor of chiropractic can help you with this assessment. Chiropractors are trained to evaluate and treat ITBS and other hip/knee conditions, whether they are sports-related or not.